This summer is starting out on track to be the biggest box office season of all time. With Iron Man 3, Star Trek 2, and Fast and the Furious 6 already cranking out big numbers, it's expected to only get better once school lets out. There are several superhero movies, but at the top of my list is Man of Steel. I like Zack Snyder's work, and when you add in Goyer's writing, Nolan as a producer, and an excellent cast, it seems hard to imagine they can go terribly wrong. Fingers crossed. Mattel is doing toys for the kids of course, as well as several Movie Masters figures intended for the 'adult collector' (it must be true since the package says so). 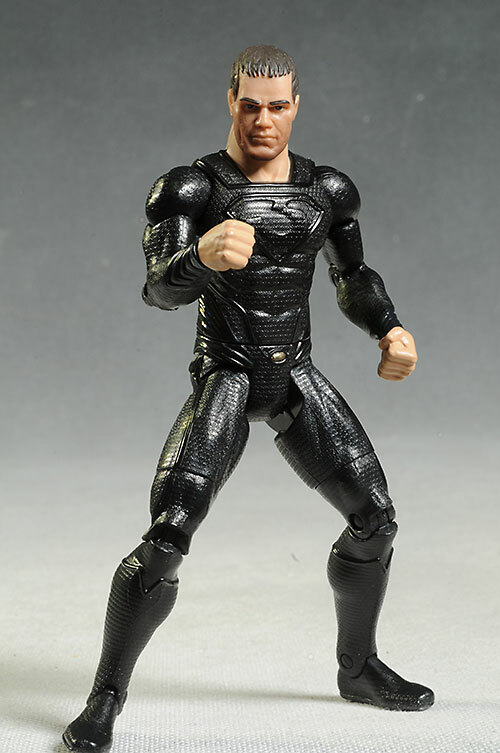 There are three figures in the first wave - Superman, General Zod, and Jor-El. I haven't found Jor-El yet, but I will...I hope. 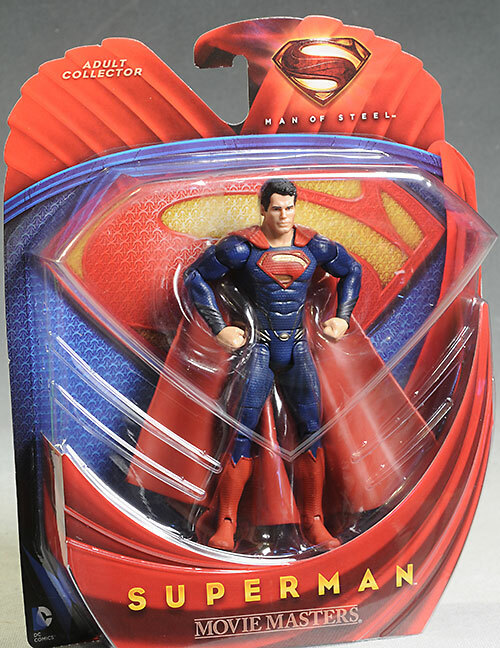 Other figures coming include Faora, Zod with Battle Armor, Zod with Shackles, and Superman with Kryptonite Key. Even in the Movie Masters line, we're getting a lot of Superman and Zod variants. These aren't cheap at $20 a pop, which makes getting the variants even tougher for completists. You can find them right now at mass market stores, like Toys R Us and Meijer. The package is bright and attractive, with the large logo in the background. It's not collector friendly of course, but the twisties were non-existent, which is a big plus to me. However, there's a ton of waste here, since the figure and base only take up about 25% of the overall bubble. 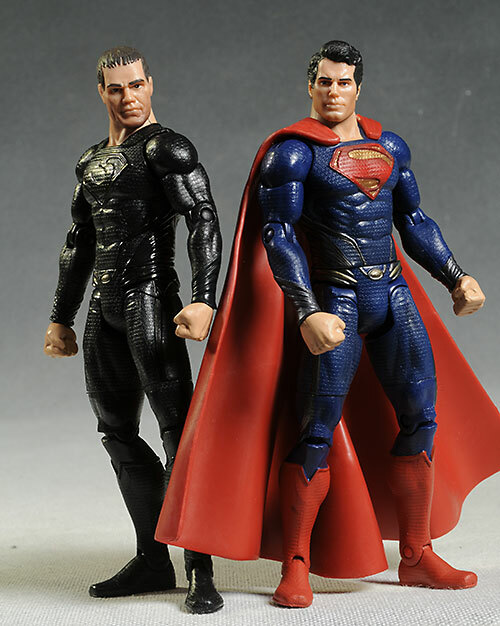 These figures are in a 6" scale, with Superman coming in at about 6 1/4". At that scale, they fit in pretty well with the other Movie Masters and the older DC Universe Classics. The portraits on both are good if not perfect, especially considering the scale. 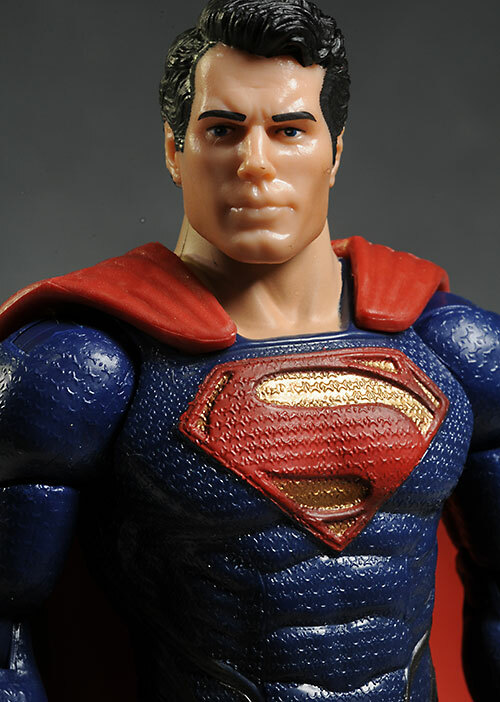 Superman has Cavill's pouty lips, soulful eyes and cleft chin, while Zod has Shannon's big, square chin and recognizable nose. It's unlikely you'd recognize either of them without the suits, but in context they work well enough. The suits have a cool texture, along with some decent detail work on the emblems and boots. They appear to be pretty screen accurate as well, although we won't know for sure til we see the actual film and not just the trailers. Considering the scale, the paint work here is excellent. 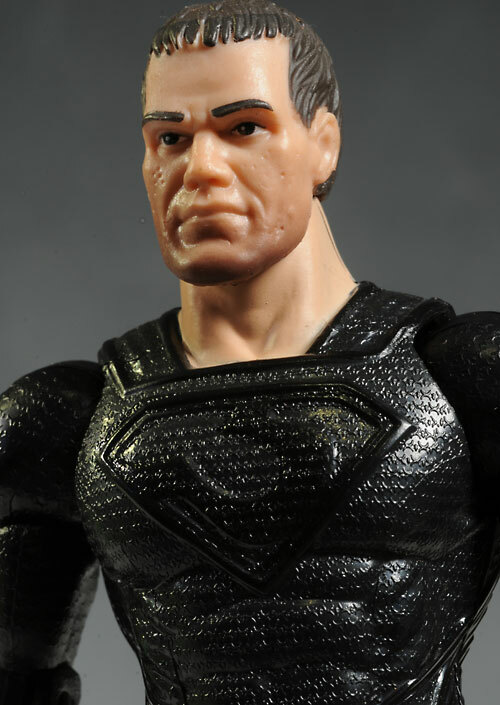 The eyes are sharp, the hairlines are clean, and even the stubbly face of Zod is well done. The suits are clean as well, although there aren't a ton of ops. 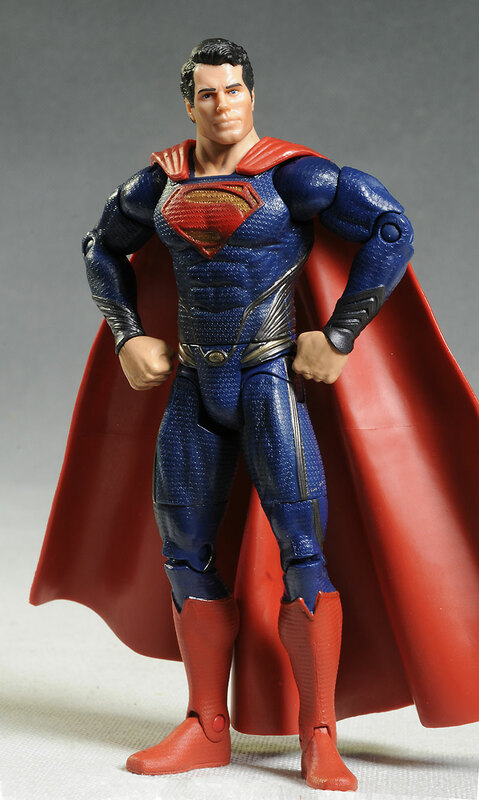 Supes has more than Zod due to his emblem and striping. Of course, that same striping looks a little weird when the lower legs are twisted even a little, but that's the price you pay. Zod has no highlights, but the sharp, bright glossy black looks excellent, with a nice consistency. At this price point, these are the sort of paint ops you should really expect. I am cutting them a little slack here on Zod though, since he isn't sporting the unique goatee I've seen in the trailers. But without seeing the film, I can't be sure whether he has this lesser facial hair at some point, or whether Mattel just screwed up. If you're a collector of other Mattel superheros, like DCUC, you'll recognize the articulation here. There's the usual ball jointed neck and shoulders, cut biceps and thighs, pin ankles, knees and elbows, a cut waist and wrists, and the hinge style hips. They all work well, with no interference from the sculpt. They are missing the ab-crunch though, which knocked them down a half star. Rockers in the feet would also be a big plus, allowing the feet to remain flat on the ground. It's not unheard of in this scale, especially at this price point. 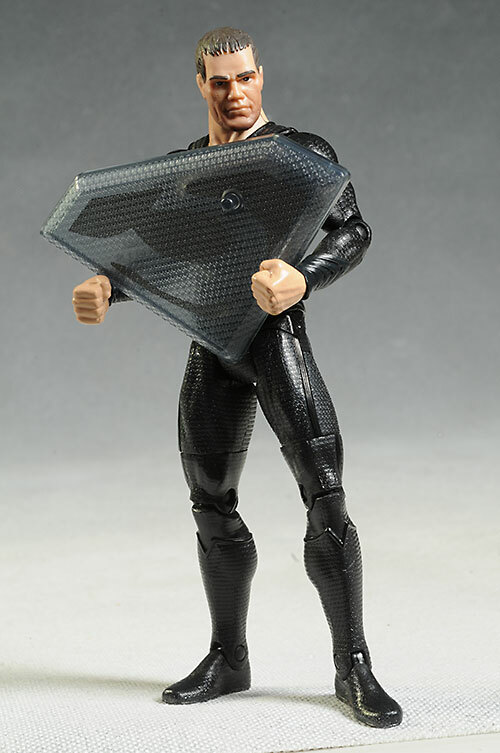 Zod and Superman are exactly the same when it comes to articulation, and whether Supes rubber cape hurts or helps is kinda open to interpretation - it is a bit heavy, but it can also be used to prop him up in some of the more extreme poses. These two figures are your bare bones versions of both characters, with no real extras. 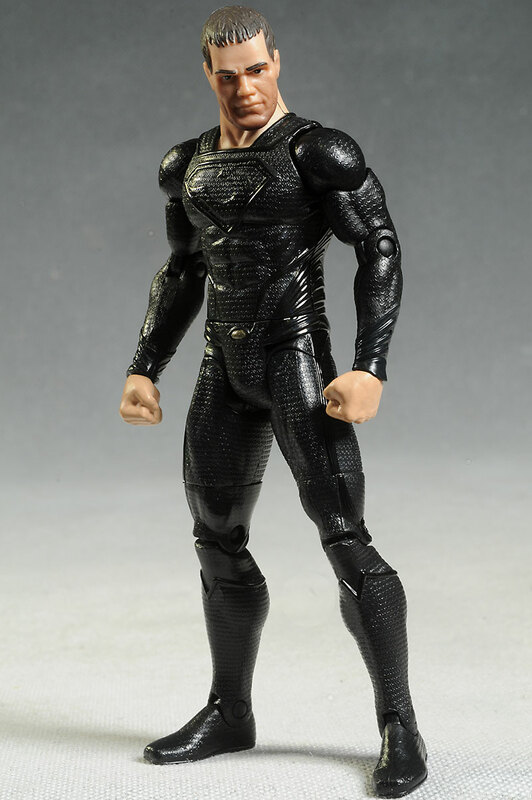 Each does have a small base, each done in their own style - Supes is the new logo, while Zod has his own logo in a translucent black - and that personalization is a nice touch. But that's it for both of these, which is mighty light at this price point. Then again, the hands on both are sculpted into fists, so they couldn't hold accessories anyway. These are very well made figures, just perfect for kids. Excellent articulation, solid sculpting and nice paint all come together for a great toy. The lack of accessories hurts a bit, but since these two figures are perfect for role playing plenty of conflict, that makes the difference. Twenty bucks? Seriously? 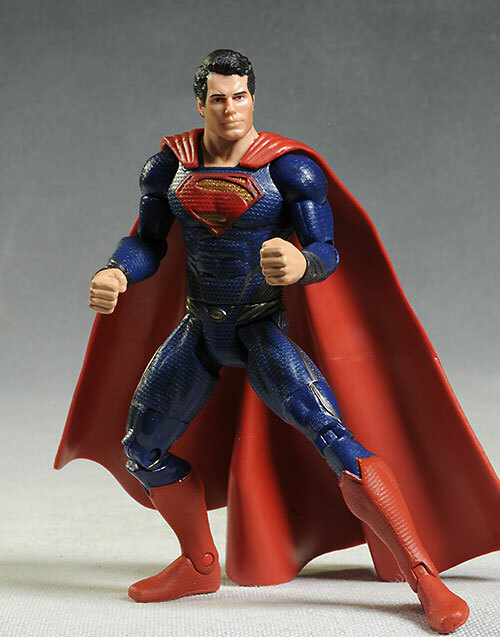 This is a DCUC figure with no accessories. While the cost of the recent Silk Spectre was another five bucks over, at least she had the cool package...and the theory of a lower production run. I find it odd that these figures are geared toward the 'adult collector', when they are far better toys than the ones being marketed to kids. If I were going off Sculpt, Paint and Articulation, this score would be much higher. They are well done figures, with very nice paint and excellent articulation. Ah, but there's those other annoying factors, like Value and Accessories, both of which really hurt these guys, at least for me. If you're not concerned about the cost, and aren't thrilled with the cat stealing your little plastic extras anyway, these figures will pull another half star overall. Your best bet is to hit the local Toys R Us or Walmart, where you can find these for around $20 each. 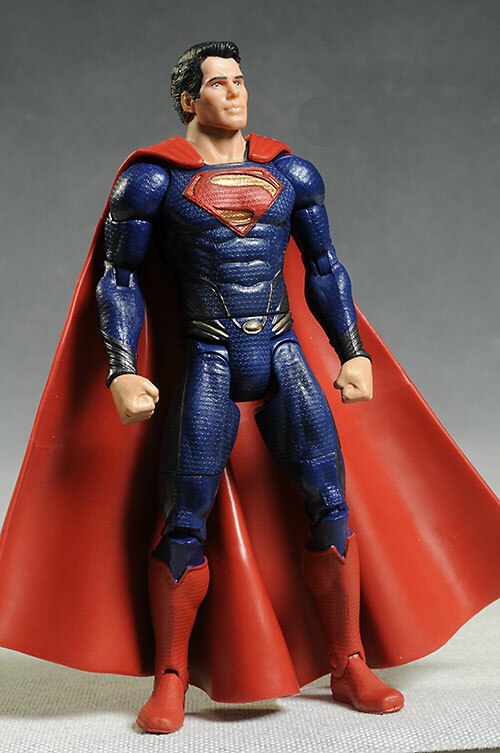 I've checked out one of the smaller, kid focused Man of Steel Superman figures as well.